Unless you’re an extreme Republican (yes, we said it), you most likely know that global warming is an actual issue and a huge environmental threat, not just a lying defamation conspiracy put together by the Chinese in order to destroy America’s greatness. 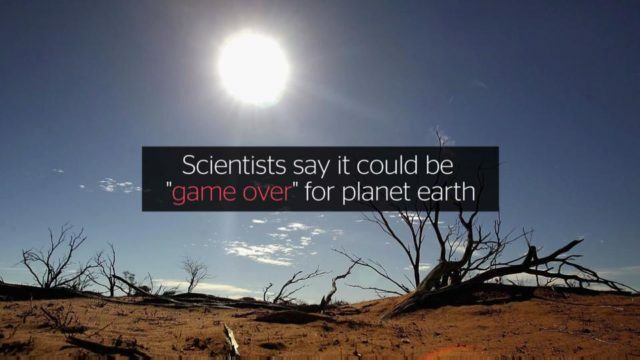 In fact, the situation has gotten so bad in recent years that a team of scientists claims that we only have three years left to save our planet before things go South really fast with no other chance of halting the impending destruction of the world as we know it. It might sound too harsh, but it’s the cold, hard truth. This group of six scientists and diplomats, among which we can find world famous physicist Stefan Rahmstorf and the former chief of climate for the UN Christiana Figueres, published an open letter to the world on June 28. In the letter, the six scientists and diplomats urged international governments to address the issue that greenhouse gases pose on our planet. The letter is also addressed to scientists, citizens, businessmen and whomever else it may concern. Increase the use of renewable energy until it reaches at least 30% of the entire electricity plan of the globe. At least 15 percent of all sold vehicles must be electric. Draft plans to urge cities and states to no longer use fossil fuel. Publish a plan urging the world to halve deforestation emissions until 2050. The financial sector should also issue more green bonds in order to mitigate climate efforts. While it’s true that the world is warming,what they don’t tell you is the fact that one volcano produces as much carbon as all mankind has since the beginning of time. I just looked on Google and it says there’s 1551 active volcanoes in the world at present. Do the math and you will have to realize mankind is only one/1551 of the problem.